Don’t worry; you don’t have to die to get out of debt. However, an epitaph is great framework to living a life of positive thinking that will help you get out of debt. Sounds crazy, right? I like to equate my epitaph with my life mission. A life mission is short and sweet. No need to get wordy about it – just like your tombstone. I could live with that. Three things – that’s all you need. Once you gain perspective you are on your way to get out of debt. Take a stab at what you would want on your tombstone or said at your eulogy. If it’s not clear, take that as a sign that you need to find where you are at in your life mission. Don’t be hard on yourself. It will change throughout the course of your life. Even the magnetic north pole changes course 30-50 miles per year in the Northwest direction. Your life mission will also change direction, and that’s okay, too. I used to think that “great husband” was my life mission, but I might combine “great dad” with “great husband” to say “great family man”. That way, I can add one more mission statement. I know that I want to live volunteering my time to help empower people in their life mission. I know how to get out of debt, now I am going to teach it. In the process, I will install it in my life that much further. 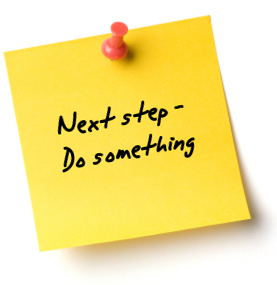 · Make a list of what you love doing and pick three things you can do on it now. · Take the things of highest importance from your love list. · Stop doing the things you procrastinate on. · Formulate your life mission. · Only do the things you are good at. One time I had a friend ask me what I thought he should do about picking between two jobs. One paid well, but he hated the job. The other job he loved but it paid less. I asked him what he expected from the job he loved. He told me that he would probably succeed doing it, get promotions, raises, and his family life would improve. Well what did he think if he took a job he hated? Well, let’s just say that between depression, marital problems, and wallowing in debt, the answer wasn’t pretty. What does this all mean? It means that by making positive changes in your life, you will be on the road to living debt-free and improving your self-confidence. Quiz – Do You Know How to Get Out of Debt Using Your Life Mission?